The REN'AI RENSAI series takes place in, you guessed it, Japan. Specifically, Tokyo, Japan. Of course, just mentioning "Tokyo" is only helpful to a certain extent. For an in-depth look at the neighborhoods and other cities mentioned in the series, read on! 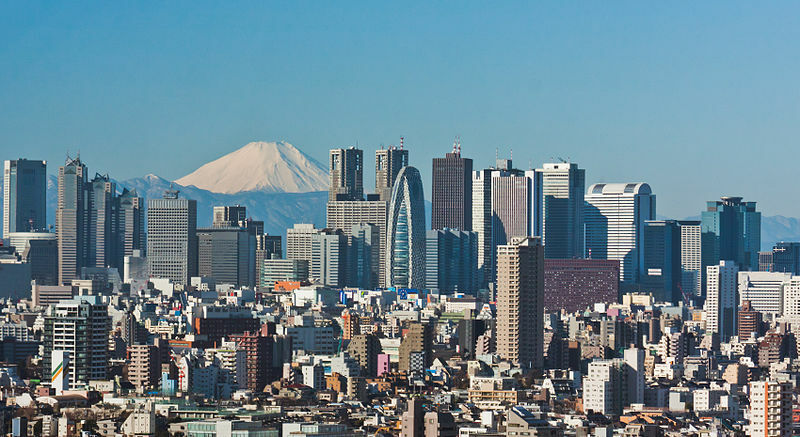 Tokyo is not only the most densely populated city in the world, but also the largest. Well, that's a bit of a fallacy. Technically, Tokyo isn't even a city - it's a metro area. Tokyo is an area made up of 23 special "wards" which act as individual cities, plus 39 more cities, towns, and villages. These municipalities stretch across multiple prefectures (which you can think of as states or provinces) and even include island chains far out in the Pacific Ocean. The series mostly makes mention of the 23 special wards, particularly Shinjuku, Toshima, Shibuya, Kita, and Minato. Otherwise, geography is intentionally left vague, particularly in residential neighborhoods. Nevertheless, Tokyo is a small area when compared to other sprawling cities. Japan has some of the greatest public transportation in the world, with subways, train lines, and buses connecting almost every single neighborhood together. Even if you live in the northern neighborhoods (like our star couple) you're just a 15 minute train ride away from all the downtown action. One of the most frequently mentioned and starred cities in the series is Shinjuku, mainly serviced by Shinjuku Station - the busiest in the world. Shinjuku is home to a plethora of global companies that keep their headquarters there, as well as notorious nightlife neighborhoods pandering to every possible fetish. Perhaps the most famous neighborhood in Shinjuku is "Ni-chome" (named after the designated governmental area it's in). Ni-chome is not only the gay capital of Japan, but also boasts the highest concentration of gay bars and clubs in the world. You can start a hot night out on the fifth floor of a building and visit every single floor on the way down and make a lot of queer friends. Of course, partying isn't the only thing to do in Ni-chome. 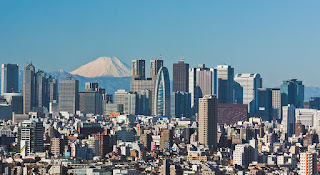 Shinjuku is also home to some of Tokyo's largest LGBT resource centers, support groups, and "daytime" establishments such as restaurants and book shops. Like other neighborhoods around the world (such as San Francisco's Castro), Ni-chome and its surrounding areas fosters a supporting community for both out and closeted Japanese individuals - because odds are they aren't getting much support at home. Naturally, it also has its seedier side, containing a hodgepodge of public baths and love hotels catering to gay clientele. Festivals, outdoor parties, and Tokyo's own version of Pride also occur in most welcomed numbers. After moving in together, Reina and Aiko live in the northern Kita Ward (also known as Kita City), which is primarily a residential ward. Although part of the larger metropolis, Kita is renowned for its numerous green parks and its rivers. Those who can afford it choose to live in Kita since it's both close to the metro center and offers a small break from wall-to-wall living, peppered with greenery. It is also the neighborhood Michiko's (Miranda) family is from. The center of Tokyo's population, Suginami Ward is a residential power house in the western wards. Those with a little more money make their homes here: most notably, it is the point of origin for the Takeuchi family. Rumor has it old ladies like to spy on the neighbors...there might be burglars bumbling about, you know. Most of the food mentioned in the series is probably familiar to a lot of readers, but just in case (and for fun) here's a run-down on some of the most mentioned Japanese food! Often compared to omelets and pancakes, okonomiyaki essentially means "whatever you like (fried, that is.)" Common fillers and topping include mayonnaise, seaweed, cabbage, meats, and sometimes cheese. All of this is either mixed or layered with batter and fried before serving. It can be eaten as a meal but is often considered a snack. Udon itself are large, round wheat-flour noodles most often served in hot (and sometimes cold) soup. It should not be confused with ramen or soba noodles and soup, as those are made from different sources and have different sizes and textures. Tonkatsu is deep-fried pork cutlets, commonly served on a bed of cabbage and in conjunction with rice and miso soup. It's usually served and eaten with a special tonkatsu sauce made mostly from Worcestershire sauce. It can be eaten with a knife and fork but is most often consumed via chopsticks.